Grand balconies, front and rear on this beautiful 8th floor double size condo are the talk of the town. 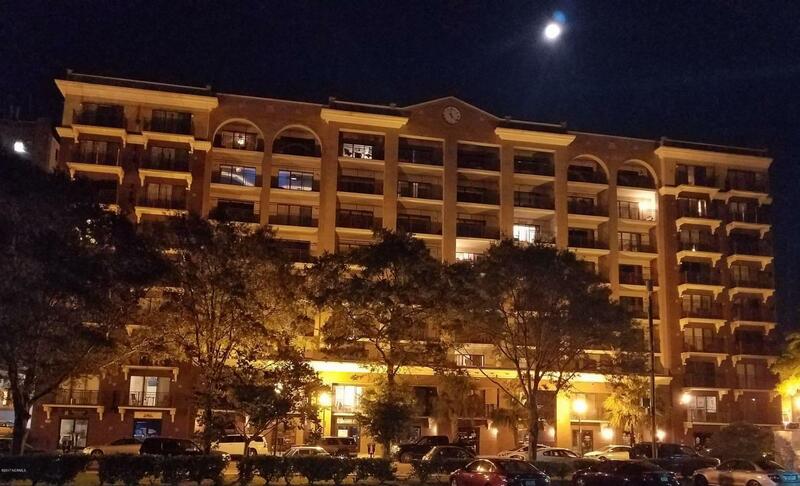 The High style condo offers the largest fully covered waterfront balcony (182 sf) views of the Cape Fear River, including panoramic city views on its entry side. Walk inside, you will be impressed by the quality and attention to detail. The 2 bedroom 2 bath condo has a master bedroom with walk in closet & en suite bath, with both city & river views. Hidden behind tall mirrors is abundant storage. Kitchen appliances are hidden behind kitchen cabinet doors allowing for a sleek clean look. Beneath the guest bath vanity are a washer and dryer. One way glass, allows privacy from any outside view. 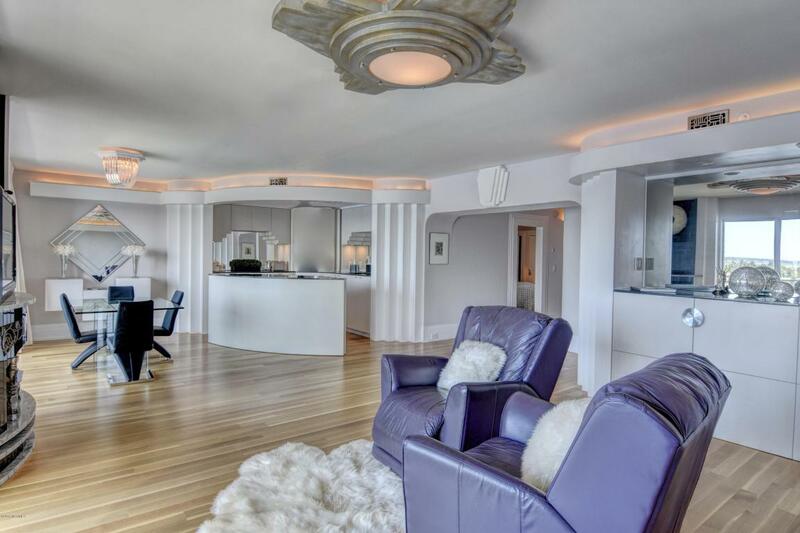 The 1,182 sf condo with balcony totals 1,364 sf combined covered space. Elevators & 2 parking.Grand balconies, front and rear on this beautiful 8th floor double size condo are the talk of the town. 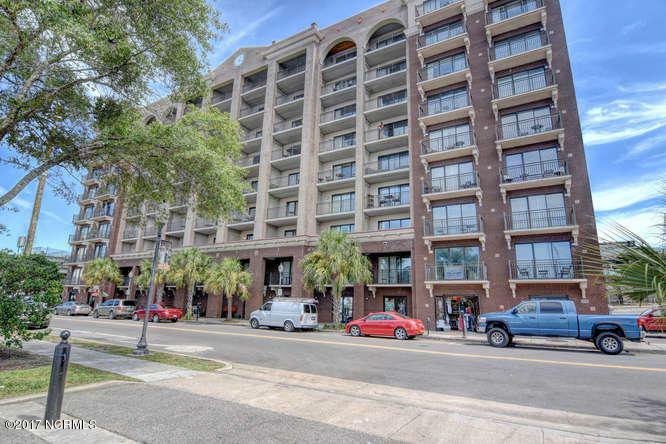 The Deco style condo offers the largest fully protected/shaded waterfront balcony (182sf) views of the Cape Fear River, as well as panoramic city views on its entry side. Walk inside, you will be impressed by the quality and attention to detail. The 2 bedroom 2 bath condo has a master bedroom with walk in closet & en suite bath, with both city & river views. Hidden behind tall mirrors is abundant storage. All of the kitchen appliances are hidden behind kitchen cabinet doors allowing for a sleek clean look. Tucked away out of sight beneath the guest bath vanity are a washer and dryer. One way glass, allows privacy from any outside view. 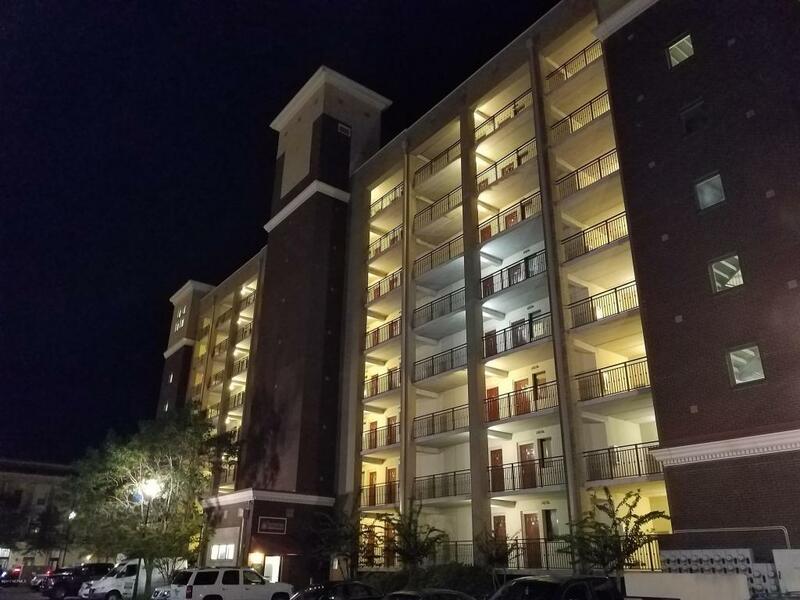 The 1,182 sf condo has the most spacious & private balconies on the Cape Fear River, in a secure building, with 2 elevators & free parking. Combined roofed private space is 1,364 sf. Listing provided courtesy of Julie W Chappell of Coldwell Banker Sea Coast Advantage.